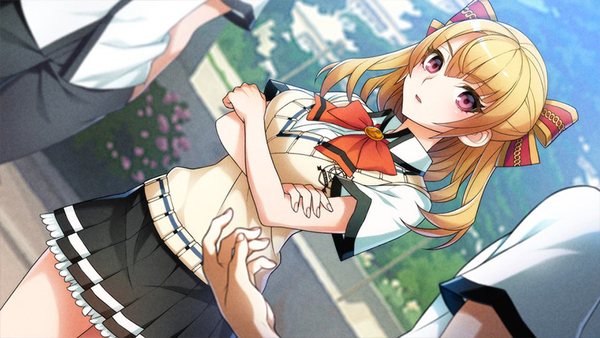 Arc System Works has announced that World End Syndrome will hit the Switch in North America on May 2nd, 2019. The title is priced at $39.99. Check out full details on the game below. Well, at least we get a nice Day-One Edition before the world ends! 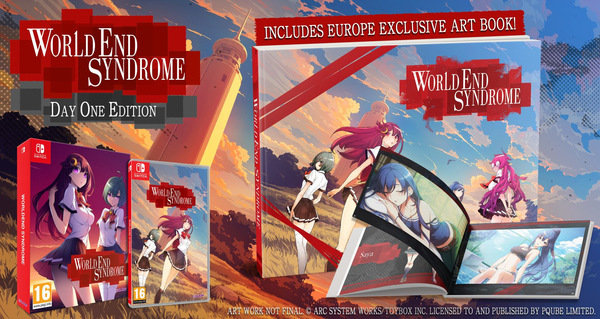 PQube (London, UK) - March 13th, 2019 - Today, Arc System Works and PQube announce the release date of the romantic mystery visual novel WORLDEND SYNDROME in Europe and reveal the exclusive Day-One-Goodie!. PQube (London, UK) January 21st, 2019 – Arc System Works and PQube are excited to announce the romantic mystery visual novel WORLDEND SYNDROME, coming to Nintendo Switch and PlayStation 4 in 2019. 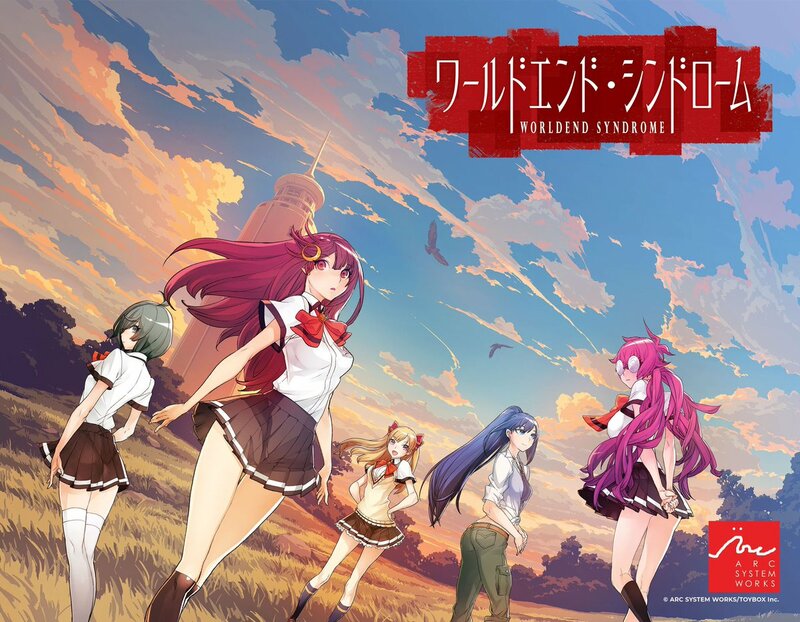 Developed by the studio famous for not only exceptional fighting games, but also a variety of outstanding indies, WORLDEND SYNDROME combines the thrills of love and mystery. Meet the beautiful characters designed by Yuki Kato, lead artist of the BLAZBLUE franchise, explore the picturesque seaside town and discover a nightmare that seems to recur every 100 years. 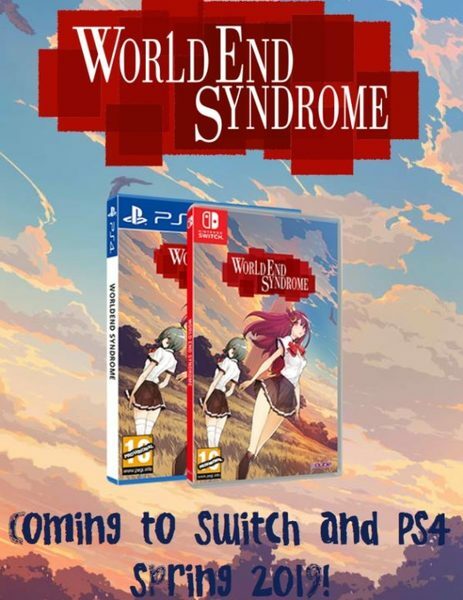 #WorldEndSyndrome is coming to the west! Meet Maimi, the cousin of our protagonist. She's outgoing, athletic, and has a deep interest in the town's legends. 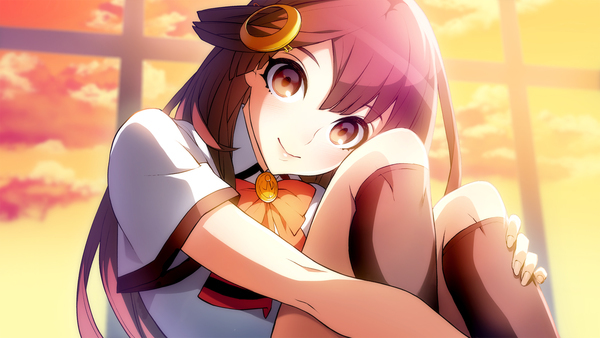 World End Syndrome is a romantic adventure game created from a collaboration between Arc System Works and TOYBOX. The game takes place in a coastal town known as “Mihate Town.” The game follows a protagonist as he get transferred to “Mihate High School” in town and begins his new life, where he meets the heroines: Maimi Kusunose, a cheerful girl, and Miu Amana, a quiet girl. Arc System Works has released a demo for World End Syndrome on the Switch eShop in Japan. For those who play the demo and enjoy the experience, hopping on the eShop right now to purchase the full game would be wise. The game is currently 15% off, making it ¥4,930. Torrance, California – November 20, 2018 – Arc System Works, Inc. is thrilled to announce that we are bringing developer TOYBOX's mystery adventure visual novel, World End Syndrome, westward! World End Syndrome will be available Spring 2019 on both the PlayStation 4 PlayStation Network as well as the Nintendo Switch eShop. The game takes place in a coastal town known as “Mihate Town.” The game follows a protagonist as he get transferred to “Mihate High School” in town and begins his new life, where he meets the heroines: Maimi Kusunose, a cheerful girl, and Miu Amana, a quiet girl. Set in the sea town of Mihate when the protagonist moves there and begins to attend a new school. He hears of a local legend in which the dead come back to life every 100 years and are known as "Yomibito." A missing high school girl could signal the return of the Yomibito. Arc System Works has announced that they'll be bringing the visual novel World End Syndrome to the Switch in North America and Europe in Spring 2019. After a certain incident, the protagonist—a boy who conceals a small darkness within him while living out his boring everyday life—ends up leaving the city and relying on an uncle he has never known, moving to the seaside town “Mihate-chou,” which is situated in a cove.